 Barron’s is pleased to announce Advisor Advantage, a suite of products to help ranked advisors grow their practices. The Barron's Guide to Wealth + Online Profile. Reach wealthy readers in Barron's or WSJ, and raise your online footprint with this special advertising opportunity, exclusively for ranked advisors. The Guide to Wealth is a quarterly how-to for wealthy investors looking for top tier wealth management. Newsletter and subscriptions. 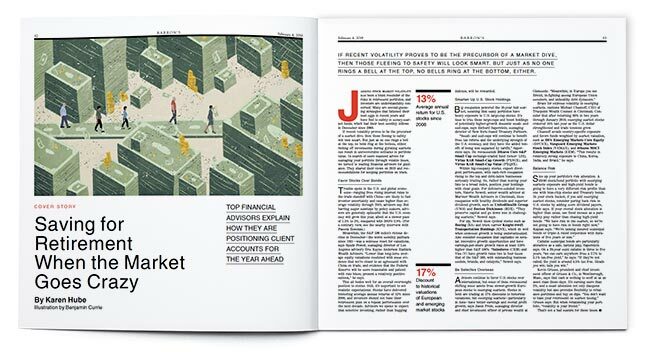 Bring world-class financial journalism to your clients and colleagues. Barron’s offers a wide range of content solutions from co-branded newsletters to gift subscriptions for your most-valued clients and/or team members. Barron's Top Advisor Logo. Celebrate the incredible accomplishment of being among the top 1% of wealth managers with the "Barron's ranking" logo. We're making it easier to promote the rankings by offering the digital usage as part of a bundle. A modestly priced entry package that gives advisors the pieces to improve their digital footprint and be seen by the millions of users on Dow Jones sites. Profile page is also linked to the online "Guide to Wealth"
The digital package plus benefits of the Barron's print directory (listed in the Guide to Wealth) four times a year. Enhanced ranking page + online "Guide to Wealth"
Listing (4x) in the print quarterly, "Guide to Wealth"
All of the benefits of the premium package plus listing twice a year in the WSJ print advisor directory/Guide to Wealth. Get exposure to millions of wealthy WSJ subscribers and readers. Listing (2x) in the semi-annual WSJ version of the "Guide to Wealth"
The packages above are offer a range of price points (starting at $2,500) and a range of solutions for advisors and the specific demands of their clients. If you are interested in a different combination of products, our team can put together a custom plan. ​A lot has changed since Barron's first ranked advisors in 2004, but one thing that remains the same is our commitment to integrity. That is why participation in any product or service from Barron‘s is 100% at the advisor's discretion and has no bearing on the outcome of any ranking. —Andy Burish, "How I Built a $3.8b Practice"
The May 27 issue will focus on intergenerational wealth and will appear in both Barron's and The Wall Street Journal. In its second year, The Barron’s Guide to Wealth (aka the Advisor Directory) is a special section that appears in Barron's quarterly and the Wall Street Journal twice annually. It gives our readers unbiased information on working with top financial advisors. It also presents some of the best advice on planning, investing and making the most of wealth. At the back of each section is a list of participating ranked advisors. The Guide to Wealth can also be found on barrons.com. It is open to the public. The online Guide also features a tool for finding any of our 1,400 ranked advisors. Last year it was an interactive map, but we're exploring a new interface for 2019. The profile will link to rankings and the directory. The Rankings. Any prospect who reads or googles a Barron's ranking will be able to click through to your profile page. Online advertising. Last year, Barron's spent the equivalent of over $1m on print ads, online banners and even paid facebook ads to drive traffic to the directory. Barrons.com. We've placed a button on the Barron's homepage so that any visitor to the site can click through to the map tool and find an advisor in their area. Articles. Every article written for the Guide will include a link back to the FA map (and more great content on managing wealth). Google Search. Any prospect who searches your name should see your profile page in the top results. More to come. We are continually working to leverage the 80m+ monthly visitors to Dow Jones publications. Market Brief is a co-branded newsletter for distribution to your clients. We recognize that the pace of business continues to accelerate for you and your high net-worth clients. Add value to your client relationship by delivering Barron's curated articles reflecting the most important and impactful business stories of the day. Most importantly, they will appreciate receiving it from their trusted advisor. The option to select a daily or weekly version. Barron’s Advantage offers full access to the digital edition of Barron’s at a preferential rate. This package gives your clients full access to the world’s best insights on investing, markets and wealth. The updated site features simplified navigation and a homepage designed to brings Barron’s insights to you hourly. Digital access includes more than just online content. Our editorial team is launching new products to help you make smarter investment decisions, including podcasts and video. Deepen the discussion with your clients. A new look, a new attitude. As wealth finds its way into the hands of younger generations, your digital footprint will play an important role in winning new business. To this end, we've made it easier to recognize the incredible accomplishment of being a ranked advisor with our ranking logo. We are lowering the licensing fees and allowing wider terms of usage to encouraging advisors to publicize their success. Throughout the year, our team will be sending out best practices on marketing and promotion. We will tap expertise from the Barron's web development, social media and audience development teams to give you ideas on how to raise your online profile. Also, our team will be available year-long to answer questions or requests from your marketing staff.